After four years on the market, and three price cuts, a stately Colonial-style home on Greenwich, Conn.’s tony Round Hill Road is being sold in a way that was once unthinkable in one of the country’s most affluent communities: It is getting auctioned off. Once asking $3.795 million, the four-bedroom property will be sold May 18 with Paramount Realty USA for a reserve price of just $1.8 million. Seller Isaac Hakim, a real-estate investor, said it is time to move on. “We are ready to sell and I don’t want it to drag on,” he said. After raising their children there, he and his wife moved to Florida several years ago. While luxury home auctions are utilized in other parts of the country, they have rarely been seen in markets like Greenwich. Once a beacon for Wall Street’s top brass and still one of the richest towns in the U.S., Greenwich is facing a slew of issues. Many wealthy New Yorkers are opting to live in the city, rather than in the suburbs. Some of the wealthiest, like Mr. Hakim, have decamped to Florida in search of more favorable tax rates. Banking executives who propped up the market with their yearly bonuses have also experienced cuts in compensation. The seemingly never-ending slump is leading some sellers to accept less—sometimes a lot less. Owners who paid top dollar for their homes in the Fairfield County town in the mid- to late-2000s are routinely selling for less than they paid. Dramatic price cuts are the order of the day. There were 45 properties in Greenwich priced at more than $5 million that had their price reduced by 10% or more in the 12-month period between April, 2018, and March, 2019, according to Realtor.com. Realtor.com is owned by Move, Inc., a subsidiary of Wall Street Journal parent News Corp . Some sellers have resorted to renting out their homes. Brian Amen, an agent at Houlihan Lawrence, said one of his clients tried to sell his roughly $3.65 million home for about a year and lowered the price, but recently decided to lease it out in hopes the market would improve in a year or two. Several prominent owners have settled for significantly less. Earlier this month, music executive Tommy Mottola sold his Georgian-style estate for $14.875 million, or 25% off its original asking price. In December, hedge fund executive Ara D. Cohen, co-founder of Knighthead Capital Management, sold his sprawling 27-room property for $17.5 million—half of what he was seeking in 2015. Long Island home prices kept rising as the spring selling season got underway last month, but the pace of sales slowed and inventory is on the rise. In Suffolk County, homes sold for a median price of $372,875 in March, up 5.9 percent from a year earlier, the Multiple Listing Service of Long Island reported Thursday. Nassau County’s median home price increased by 3.4 percent annually, to $517,000. The number of closed home sales fell year-over-year by 5.8 percent in Suffolk and 8.8 percent in Nassau, the listing service reported. However, in a sign that the market could get stronger in the coming months, the number of contract signings jumped by more than 10 percent in Suffolk and ticked up by 1.4 percent in Nassau, compared with the previous March. Demand is strong for homes in the $400,000 to $600,000 price range, said Russ Bonanno, a real estate agent with Bon Anno Real Estate in Massapequa who handles home sales from western Nassau through Dix Hills and Commack in Suffolk. In that price range, he said, “it’s a very competitive environment out there for buyers. There’s a lot of very serious and very qualified buyers out there.” A home listed for $549,000 in North Bellmore recently went under contract four days after it was listed, with 17 competing offers, he said. A strong economy, low unemployment and affordable mortgage rates are driving buyers’ enthusiasm, Bonanno said. The average mortgage rate was 4.12 percent this week, 0.3 percentage points lower than a year ago, mortgage giant Freddie Mac reported Thursday. Asking prices hit a median $519,000 in Suffolk, 8 percent higher than the previous March, and $689,000 in Nassau, up 6 percent from a year earlier, listing service figures show. The number of homes listed for sale grew year-over-year by 22 percent in Nassau and 7.2 percent in Suffolk, according to listing service figures. At the current pace of sales, it would take a little more than six months to sell all the homes listed for sale in Nassau and Suffolk. Brokers say a balanced market has a six- to eight-month supply of homes. If you saw your taxes go up under the Republican tax law that limited your property tax break, you weren’t alone. In fact, 411,809 New Jersey households saw their taxes rise, the fifth highest number of any state, according to a report by the Center for American Progress, a progressive research group founded by John Podesta, who later chaired Hillary Clinton’s 2016 presidential campaign. Only California, New York, Texas and Florida saw a greater number of households paying more in taxes, according to the report, based on data from the Institute on Taxation and Economic Policy. Far more New Jerseyans — 3.5 million — saw their taxes reduced. But Seth Hanlon, a senior fellow with the center, said a law that increased the federal deficit by $1.9 trillion over 10 years shouldn’t have raised anybody’s taxes. Nationally, 10 million Americans got a tax hike. California, New York and New Jersey were among the states disproportionately affected by the legislation’s $10,000 cap on the federal deduction for state and local taxes. New Jersey and New York also send billions of dollars more to Washington than they receive in services. Cindy Myers, the president of a moving company based in Mahwah, said she’s seen a big uptick in out-of-state moves in the past three years. Myers shared her story yesterday at a news conference organized by U.S. Rep. Josh Gottheimer (D-5th), who wants to bring attention to the real-world impact of SALT, a new cap on federal income-tax deductions for state and local taxes. The $10,000 SALT cap was enacted by President Donald Trump in 2017 as part of a broader overhaul of the tax code. But many taxpayers are just feeling its pinch for the first time this month, as they file federal returns under the new rules, only to learn that the new limit means they owe the feds more money. “Our phones in our office, my phone is ringing off the hook with people saying, ‘Wait a second, what is going (on) here?” said Gottheimer, who’s introduced legislation seeking to rescind the cap. The deduction was worth as much as $24,783 on average for those who took it in Bergen County, where Myers’ moving company is located. But even though she says out-of-state moves have tripled in recent years, it’s too soon to determine how the SALT cap is affecting the broader New Jersey landscape. Ilene Horowitz, president of New Jersey Realtors, also spoke at the news conference yesterday, saying that 2018 was a strong year for the state’s real-estate market, although she did raise concerns about the potential impact of the cap. “Professionally speaking, for 2019, I think it’s too soon to see the effects of SALT,” Horowitz said. The median New Jersey double dipper worked four jobs and took home a salary of more than $93,000, the analysis shows. Companies seem to have done a lot of hiring in March, and if Friday’s jobs report is as strong as expected, it could go a long way towards reducing speculation that a recession is coming and that the Fed will have to cut interest rates to stop it. Like every jobs report, this one is important, but economists say even more so, after the stunningly weak February report, with just 20,000 jobs created. That data added to growing concerns this winter that the economy could tip into a recession sometime in the next year. But economists believe that report was an anomaly, and the real pace of job growth is closer to the consensus forecast for March of 180,000 payrolls. Economists also expect an average hourly wage increase of 0.3 percent and an unchanged unemployment rate at 3.8 percent, when the report is released at 8:30 a.m. ET Friday, according to Refinitiv. The two gravest challenges facing America today, economic inequality and geographic divides, are increasingly intertwined. Economic inequality has surged with nearly all the growth being captured by the 1 percent, and the economic fortunes of coastal superstar cities and the rest of the nation have dramatically diverged. These two trends are fundamental to a new studyby Robert Manduca, a PhD candidate in Sociology and Social Policy at Harvard University. The study uses census microdata culled from 1980 to 2013, and finds that America’s growing regional divide is largely a product of national economic inequality, in particular the outsized economic gains that have been captured by the 1 percent. Up until now, most researchers have believed America’s rising geographic divides to be a consequence of the way people sort themselves by education, occupation, and income. In Bill Bishop’s influential book, The Big Sort, the basic idea is that more skilled, affluent, and educated Americans move to the booming parts of the country—superstar cities like New York and Los Angeles and tech hubs like San Francisco, Seattle, and Boston—leaving the rest stuck in less-advantaged parts of the country. To some, this is simply the effect of the clustering of talent and skill. For others, it is the result of the preferences of advantaged groups for amenities and other lifestyle factors. Some also say it is the consequence of land-use restrictions, which limit the development of economically successful places, or other barriers to growth. This growing pattern of spatial inequality can be clearly seen in the maps below. In 1980, there were only two U.S. city-regions, Washington, D.C., and the New Jersey suburbs of New York City (in dark blue on the map), where mean family income was more than 20 percent higher than the national average. Most of the rest of the map is shaded in gray (indicating mean family income ranges between 10 percent higher or lower than the national average) or light red, with some pockets of dark red. Manduca does not deny that these kinds of geographic sorting forces are in play. Instead, he finds that the staggering growth in the economic divide helps to magnify such spatial division. The rich and the poor occupy different places to begin with, so as income inequality rises, the geographic discrepancies also rise as a consequence, with rich places getting richer and poor places falling further behind. Or as he puts it: national inequality acts like a powerful wave that “washes over an uneven landscape, leaving behind deep pools in some areas and shallow puddles in others.” The rise in economic inequality, even though not inherently spatial, does in fact have spatial consequences. Homebuyers signed 1 percent fewer contracts to buy existing homes in February compared with January, according to the National Association of Realtors’ pending home sales index. These contracts are a harbinger of closed sales one to two months later. Pending contracts were 4.9 percent lower tha a year earlier. Yun pointed to some sales growth in the West, although the region’s current sales are well below the sales activity from 2018. “There is a lack of inventory in the West and prices have risen too fast. Job creation in the West is solid, but there is still a desperate need for more home construction,” he added. The drop came despite buyers having the benefit of lower mortgage rates. The average rate on the 30-year fixed was just over 5 percent in November but began falling in December. They started January just above 4.6 percent but fell at the start of February to around 4.5 percent, according to Mortgage News Daily. Rates then sat there throughout the month, when these sales contracts would have been signed. Timing is everything, especially in a housing market that has been less than dependable lately. So if you want to get the best price for your home in the shortest amount of time, you’d better list it next week, at least according to realtor.com. “Given the time it takes from listing to close, putting a home on the market in early April positions sellers to attract buyers seeking to close and move before the beginning of school year,” said Danielle Hale, chief economist for realtor.com. The number of buyers jumps dramatically in April, but the number of listings doesn’t peak until a little later, so there is less seller competition. The average list price in June is higher than April, again as larger family homes are being listed during school vacations, but there are fewer buyers, which increases the chance for a price reduction, although not by much. Homes listed in June are 1 percent more likely to see a price reduction and garner 2 percent fewer online views on average than the rest of the year. 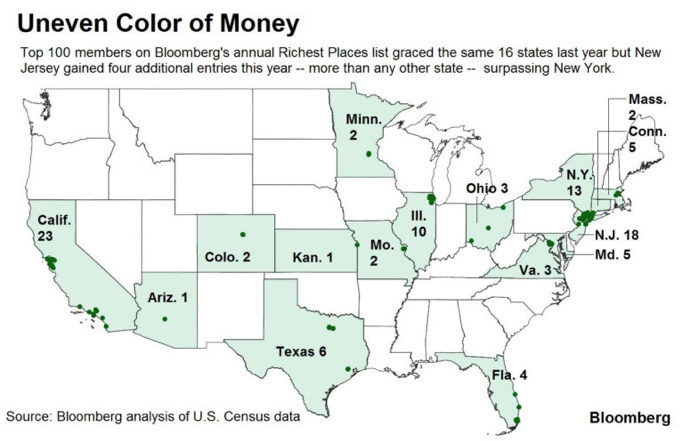 These Are the Wealthiest Towns in the U.S.